Help us build on our commitment to the community. Through decades of expansions, improvement and innovations, the people of this region have stood by St. Clair Hospital, continually lending their support and showing their faith in our ability to deliver excellent health care. That unwavering commitment has allowed us to remain an independent, nationally recognized leader in patient safety, quality, patient satisfaction and value. 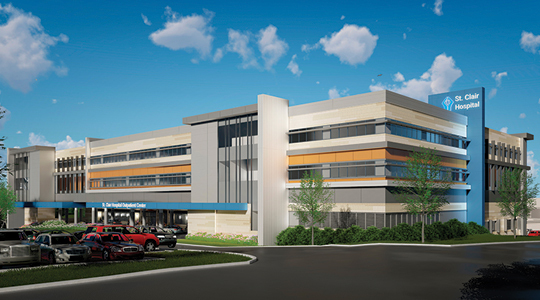 We ask that you please join in this transformative effort that will lead the Hospital into the next generation of health care by donating to the Groundbreaking Growth Campaign. Clicking “Donate” will take you to a secure site operated by PayPal. Please call the Foundation at 412.942.2465. Please click (PDF) here for instructions, or for more information, please call the Foundation.